A commission for a client that IDK if wants to be linked? Will edit if so~! What's he trying to solve a rubic's cube? 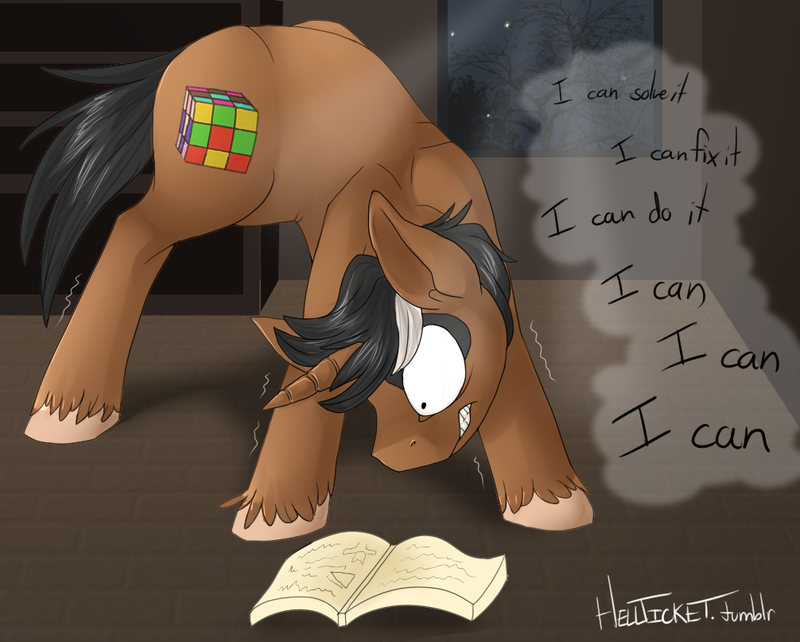 Starling got it right - his cutie mark is an unsolveable Rubik's Cube, and he has a penchant for trying to solve the impossible c:! His own cutie mark must drive him insane! Like I said in the Pm. Its Perfect! Thanks~ You can link if you want. so this is an INCREDIBLY SWEET COMMENT and I seriously appreciate it, thank you so much ;A;! !